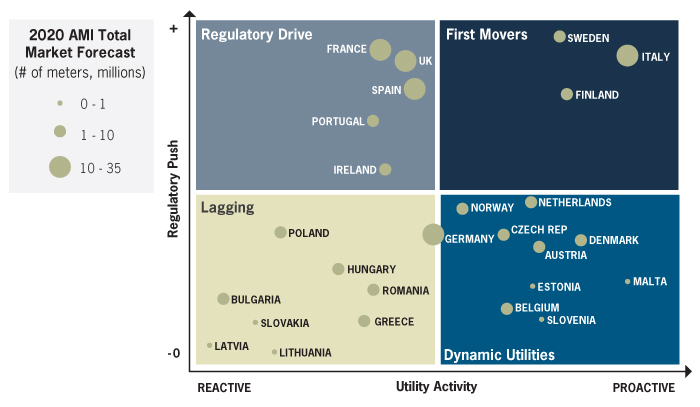 GTM Research publishes in-depth analysis on smart grid rollout in Europe, providing utility deployment strategies, technology segmentation and forecasts to 2016. The smart grid market in Europe will experience considerable development over the next five years, as utilities across the region work to meet rigorous efficiency mandates and integrate an ongoing build-out of renewable energies into the grid. 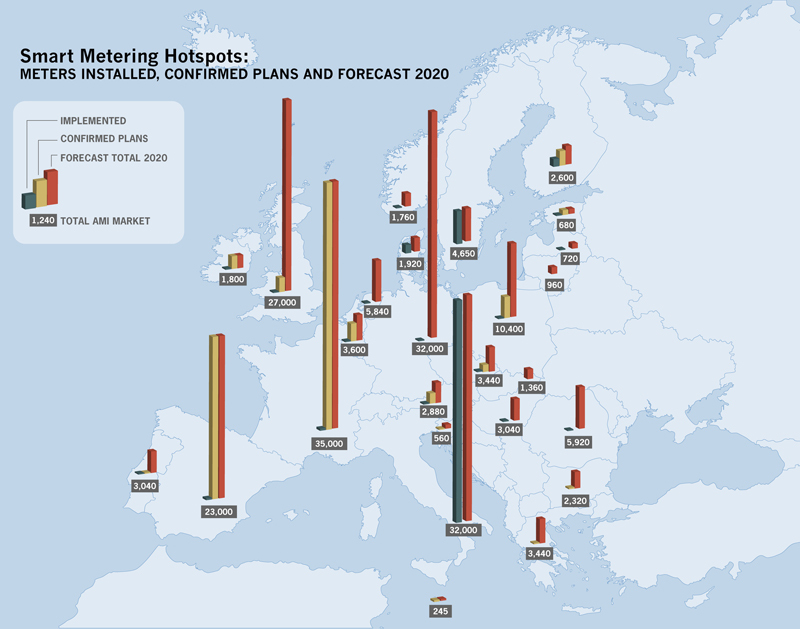 GTM Research’s latest report forecasts the cumulative European smart grid technology market to hit €3.1 billion in 2012, with that number set to increase 120% to €6.8 billion in 2016. 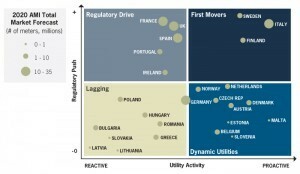 GTM Research’s The Smart Grid in Europe 2012: Technologies, Market Forecasts and Utility Profiles is the definitive market resource on the European smart grid. At over 130 pages, the report offers strategic insights into the technology, economic and competitive dynamics propelling growth in the region. The report also compares smart grid evolution in Europe with that of the U.S., China and Japan, and profiles the smart grid integration models and pilot projects of Europe’s most active utilities, including EDF, ENEL, E.ON, GDF Suez, RWE, Iberdrola, Endesa, Centrica, Vattenfall, EDP, Dong Energy and Fortum. “There is a confluence of progressive policy, technology advances and utility necessity propelling the smart grid in Europe,” said Geert-Jan van der Zanden, the report’s author. As this integrated rollout takes shape, the report examines national markets and utilities that will emerge at the center of opportunity. “While the majority of national markets in Europe are advancing smart grid goals, few if any have meaningfully engaged the end-consumer,” said van der Zanden.